Is Bromley Cross a great place to live? 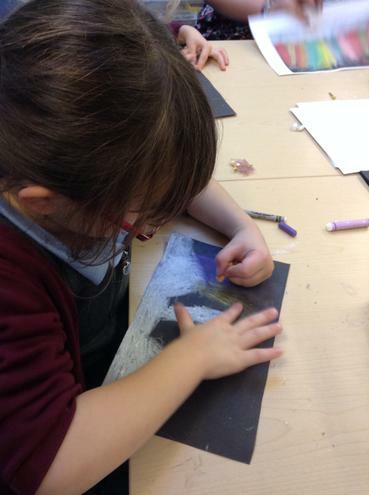 The children created a colourwash background then used tools to print poppy stems and fingers to add petals. Absolutely lovely! 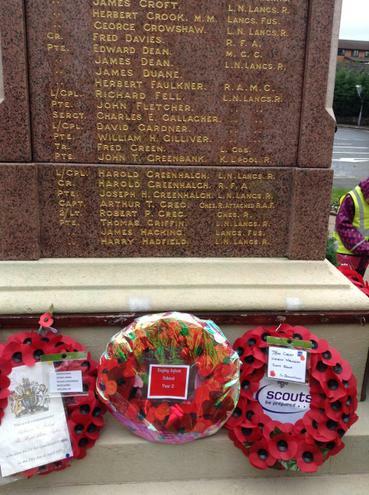 Thank you to everyone who joined us on our walk to the War Memorial! 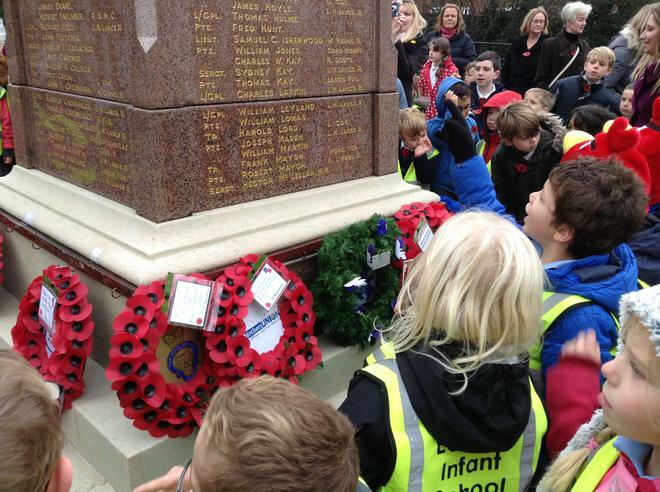 We arrived in time to join in with prayers, read poems, find Mrs Parkinson's grandad's name and lay our class wreath. 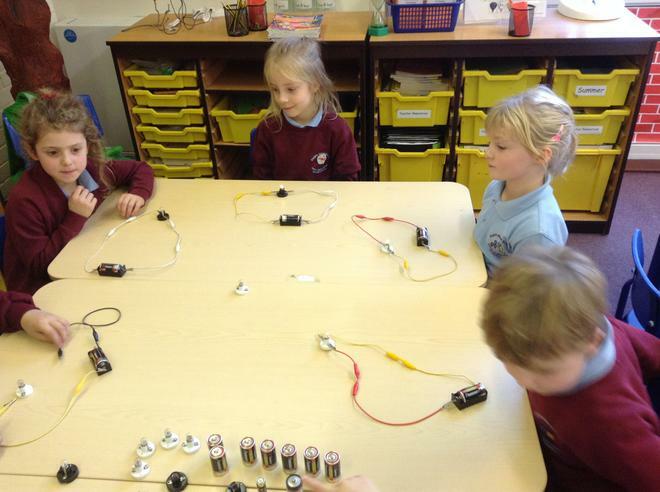 The children were incredibly well behaved, listened carefully and went back to school to write about their experience. 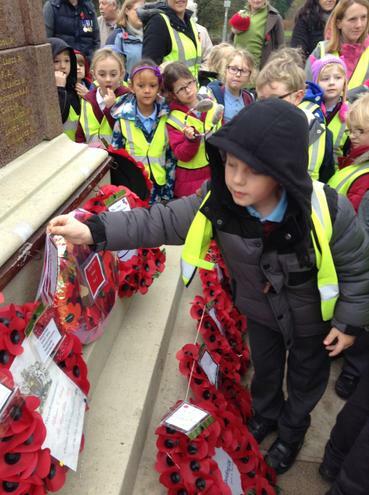 We read the World War 1 poem 'Flanders Fields' by John McCrae as inspiration for writing our own poppy poems. We wrote some beautiful poems - all the teachers were amazed! 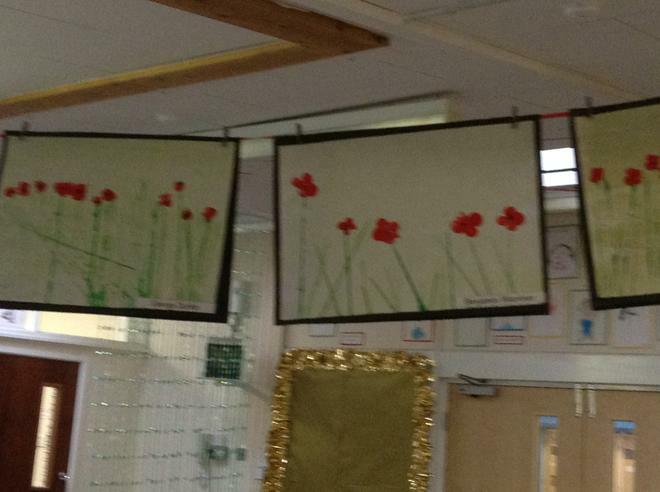 We used lots of adjectives to describe the poppies and some of us even used similes!! We have been counting in lots of different ways and working out tricky number sequences! We have ordered numbers, learnt to round to the nearest 10 and some of us have tried rounding to the nearest 100! We have also been looking at money - finding different ways to make totals and finding change. We asked the question - Why and how do we celebrate Bonfire Night? 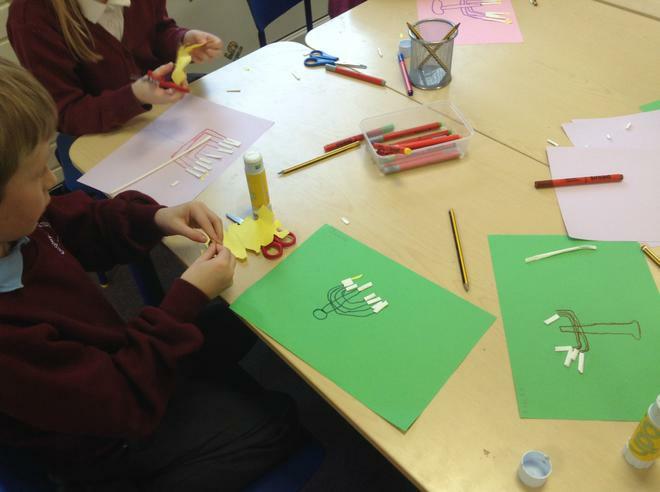 We found out about Guy Fawkes and his gunpowder plot! 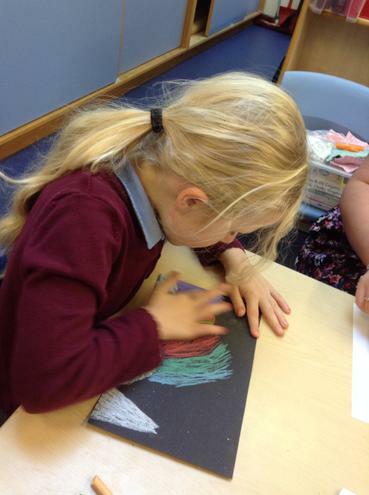 We talked about what we like to do on bonfire night and how we can stay safe around fireworks. 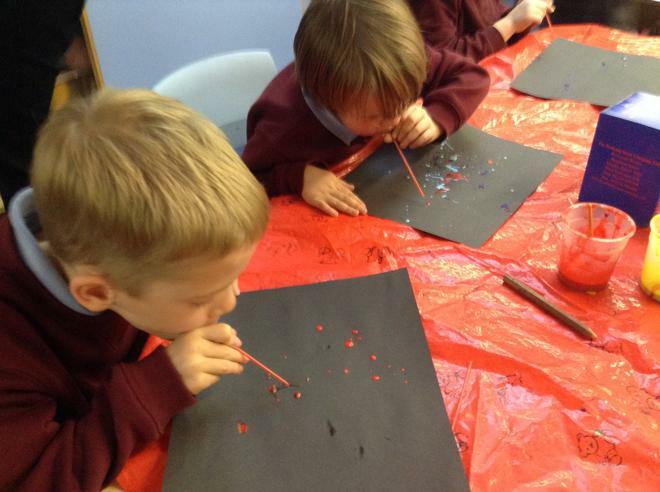 We also created our own firework pictures by blowing paint through straws. 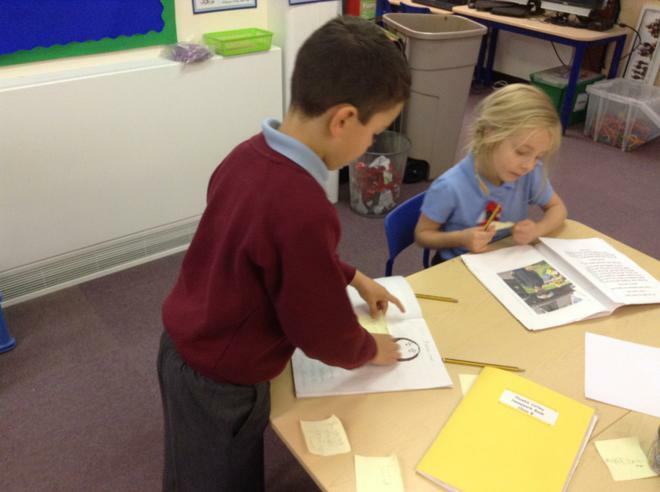 We enjoyed looking at each others homework books and writing comments for our friends. In Literacy this week we have been pretending to be an evacuee from the Second World War and we have written letters home to our Mum. 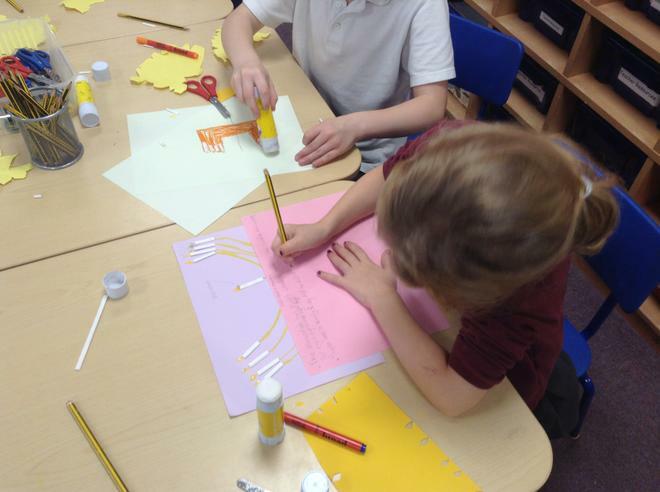 At home children can practise writing short diary entries or letters to friends using the past tense. In Maths we have been finding all about arrays and repeated addition to support our understanding of multiplication. 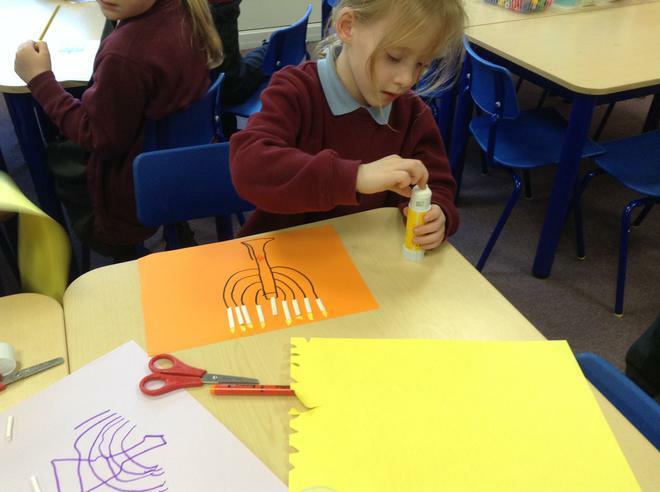 At home children could practise making arrays with smarties or skittles. 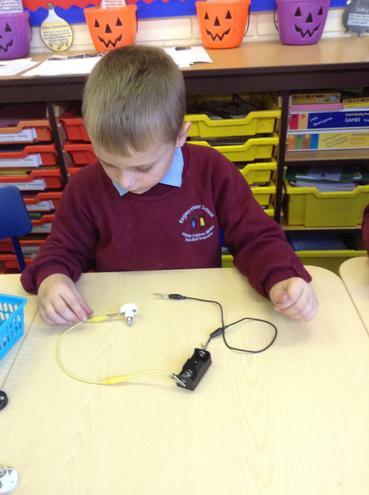 We have been finding out all about light and how it is used in Celebrations. 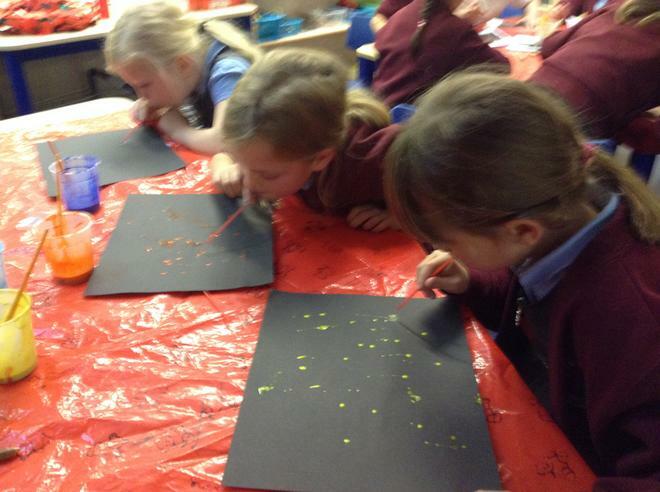 We have also found out about 'The Aurora Borealis'. 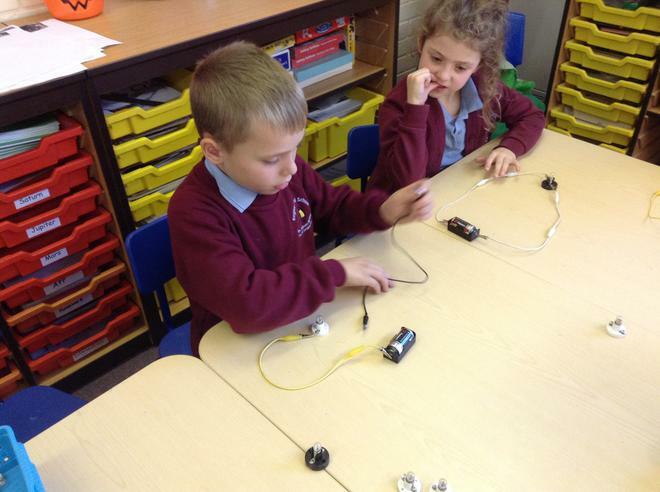 We had lots of fun building circuits while we have been learning about the invention of the light bulb.